It&apos;s time to celebrate the cold and plan your winter break at Camelback Mountain. 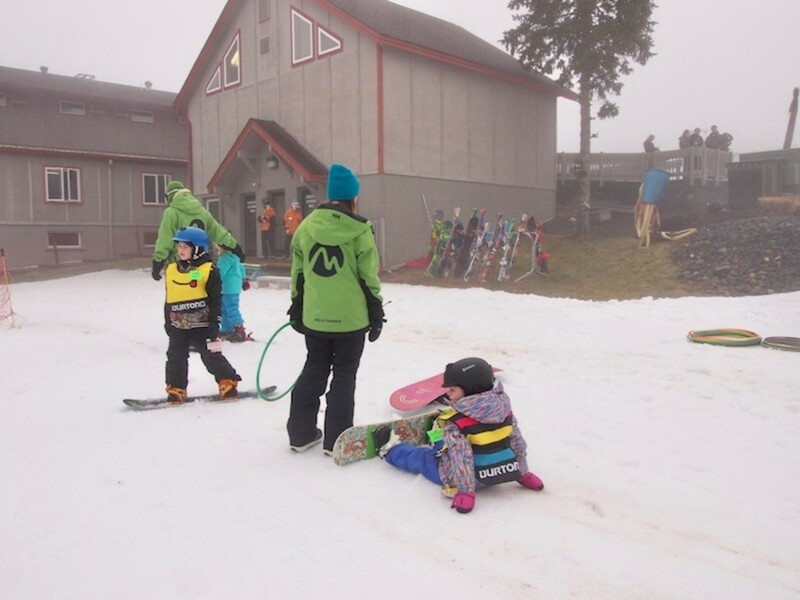 You know we are passionate about skiing with kids, and we want to help city families enjoy the snow. 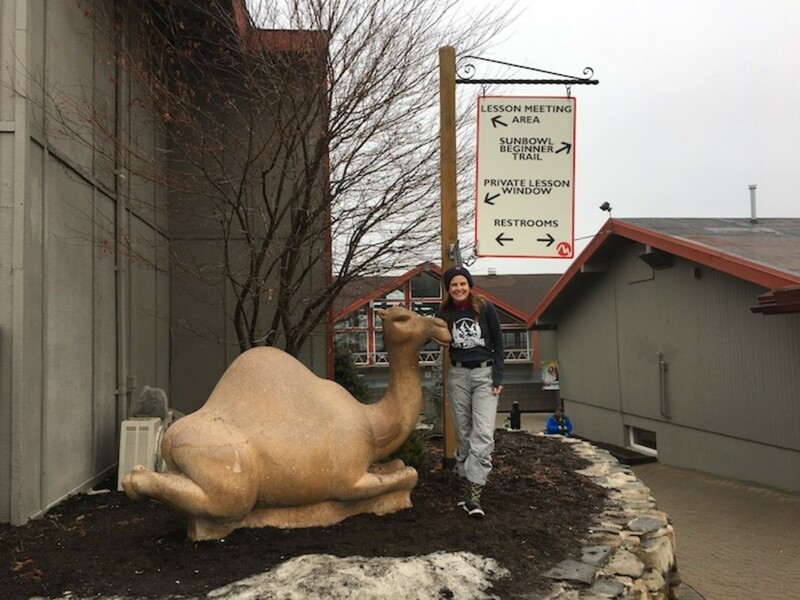 That&apos;s where Camelback comes in, just under two hours from New York City, this Pocono family retreat promises to be just the thing to bring you family together for SNOW MUCH FUN! I know, I know, warm weather trips are so easy. But let me tell you, Camelback makes planning the perfect ski holiday for your family simple. You are going to look like a rockstar to your kids once they experience all this resort has to offer--skiing and boarding, tubing, a HUGE indoor waterpark, and a hotel that has all the offerings families loves. 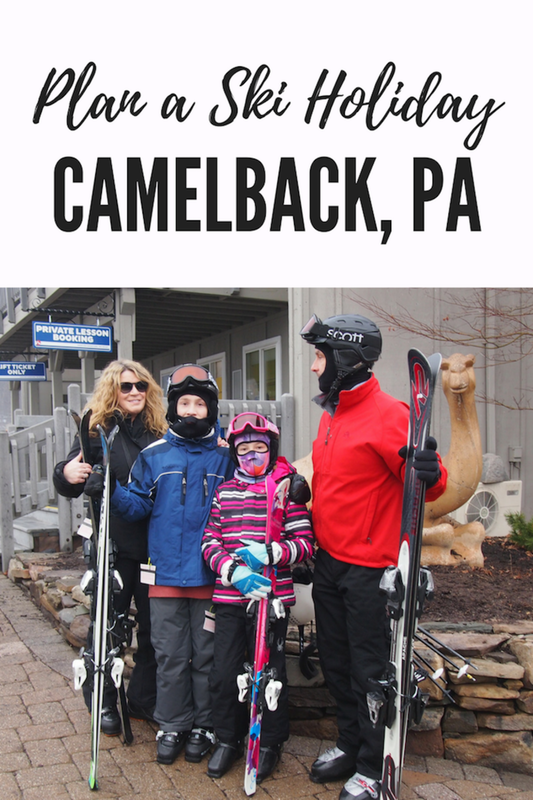 To help spread the word, we invited a few of our blogger friends to join us for a #MTCamelback event--a day for them to bring their kiddos and experience all that this Pennsylvania resort has to offer. Camelback knows a thing or two about snow. They have been getting families on the slopes since 1963. It&apos;s easy to access the slops from the Camelback Lodge or as a day-tripper. TIP: spend the $20 for preferred parking that puts you RIGHT by the entrance. Once you get your lift ticket, scoot through the simple gear rental process. Camelback uses Burton snowboards and Salomon skis and all the gear was in excellent condition. When your are set with gear (don&apos;t forget a helmet! ), you can score a day-locker in the main base area--everything is close by and convenient. Next stop after you have your non-essential ski gear stashed is the ski school. Almost all of our blogging friends signed up for lessons. Camelback is well-known for their school. They have more than 250 trained and certified ski instructors. In our group, we had first-time adults and loads of kids. Everyone starts in the same general area, but then the kiddos head to the "magic carpet" lift located in the exclusive Children&apos;s Learning Area. It&apos;s colorful, playful and the perfect SAFE place to learn. I didn&apos;t see any tears! Remember, falling is just part of the learning process. In the small group setting, kids were able to make new friends and acquire new skills. Meanwhile, the grown-ups were either in their own lessons or off exploring the nearby trails. I was thrilled that many of the blogger kids took to skiing right away. A few of them joined up with their parent later and made runs off the lift. It was really exciting to watch! Camelback is a compact mountain--you can easily meet up with your group after you take other runs. Maybe decide to meet up by the camel! What I love is that this is a great spot for beginners. The grooming team works hard to keep the terrain clean and covered with the white stuff. When Mother Nature takes a winter break, you don&apos;t have to cancel your trip. Camelback has 100% snowmaking abilities (1200 snow guns)--a huge deal when you only have a limited amount of time to travel. I love this statistic: Camelback has enough snowmaking capacity to cover Meadowlands Stadium or the George Washington Bridge with one foot of snow in just 24 hours! Since I wasn&apos;t in lessons, I got to explore the terrain a bit. I loved skiing the Big Pocono Run and Rocket--plenty steep and exciting for me! To get your ski legs on, start with a green run on Upper Marc Anthony. These are all off the fast Sullivan Express lift. DEAL ALERT: For just $169 you can get three days of Lift Tickets, Ski Rentals & Beginner Lessons. 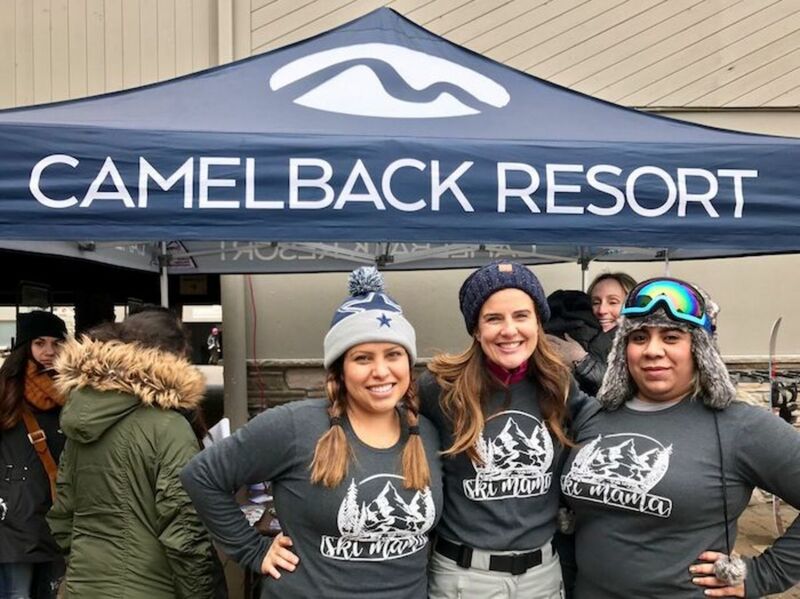 Since we didn&apos;t have ideal ski weather for this event, we were delighted that Camelback has so much more to offer than skiing and boarding. After the ski lessons, the day was just getting started! 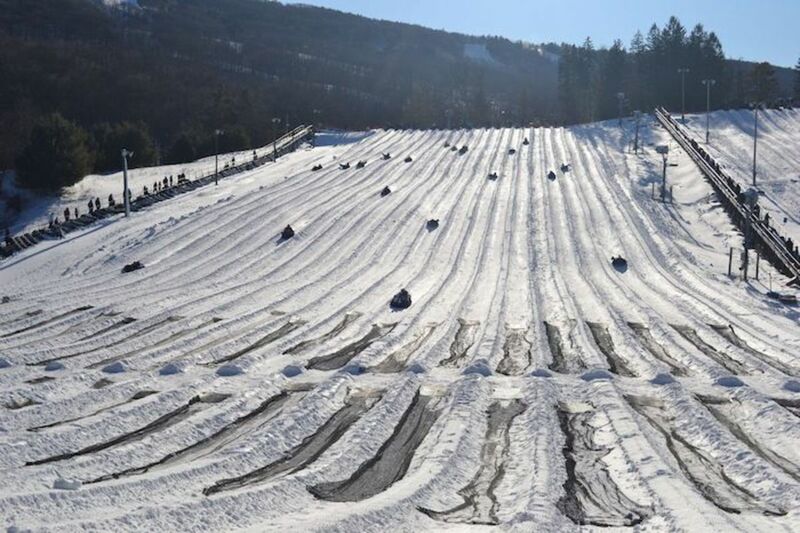 You&apos;ll definitely want to set time aside for the tubing park. It&apos;s the biggest snowtubing park in the U.S.A. There are more than 40 tube chutes on the hill and two magic carpet lifts carrying you back up to the top. Our families loved this portion of the day. 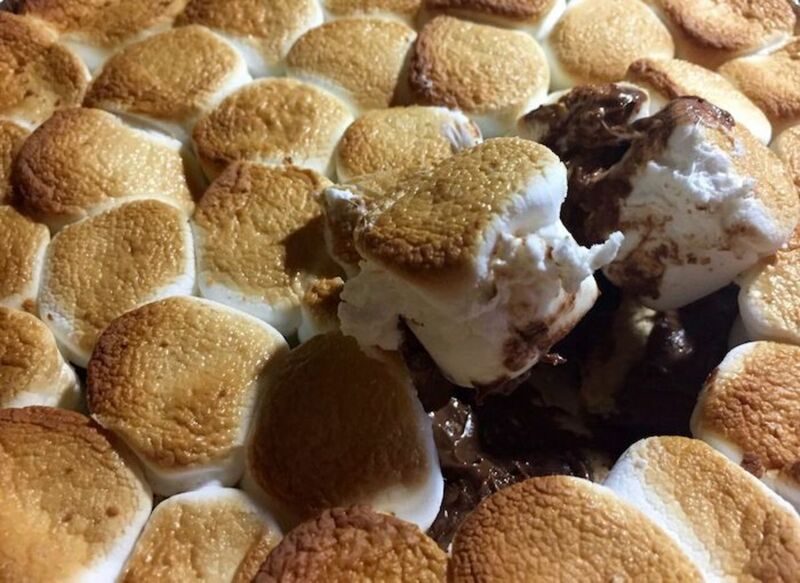 When you&apos;re done, warm up by the fire pit and treat the kiddos to a waffle from the Waffle Cabin. That one is easy. 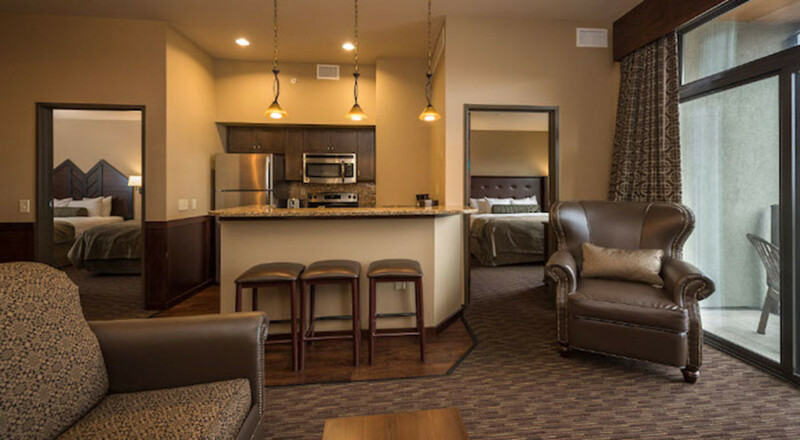 Camelback Lodge is a 453-suite resort--it&apos;s the ideal place to call home for your winter break. We recommend at least two-nights to take in everything. The lodge is connected to both the ski hill and Aquatopia . 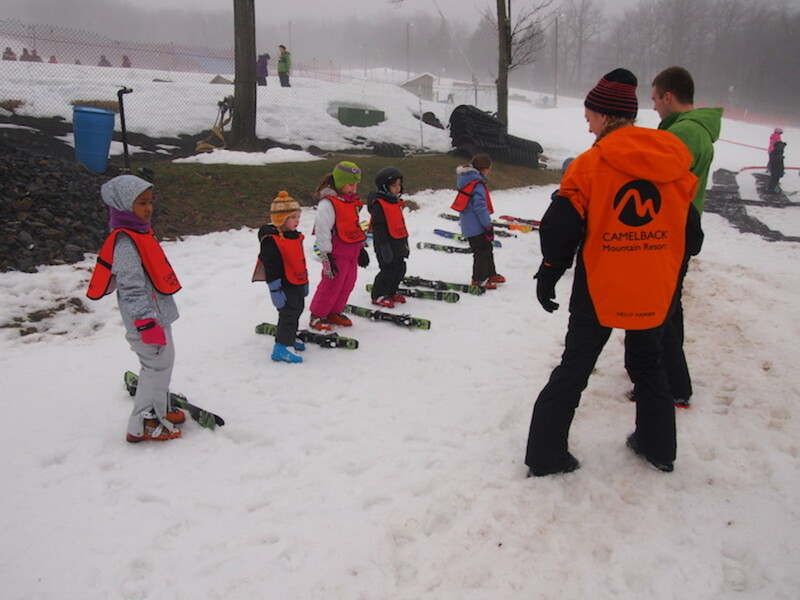 We&apos;ve been to the Camelback lodge before in the summer, now we can report, winter is even more fun! The lodge is located at the bottom of the Stevenson Express, making it truly a ski-in, ski out location. Once you park for the weekend, you&apos;ll get around via shuttles and walking--it&apos;s so easy! When you are ready to finish with your time on the slopes, Aquatopia is the place to be. 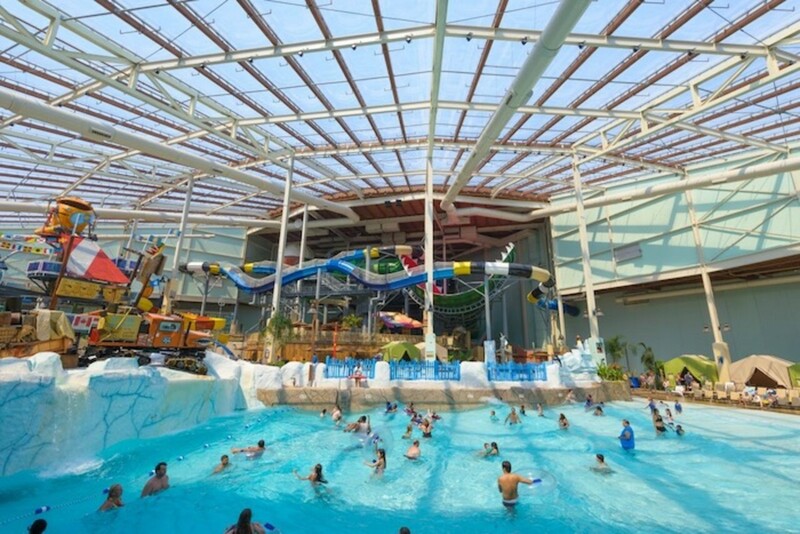 Aquatopia Indoor Waterpark has 170,000 square feet of fun for your family. It&apos;s the largest indoor family entertainment center and indoor waterpark in the Northeast The park is set up to keep you busy for HOURS. The water is set at a comfortable 84 degrees all day long and features include 13 slides, seven pools (including a wavepool), a lazy river and so much more. Our kid testers loved the FlowRider Double and Kartrite’s Quest, the world’s first revolutionary next generation AquaPlay structure. Safety Note: Aquatopia has more than 120 lifeguards trained on hand. There&apos;s more than splashy fun to be had. 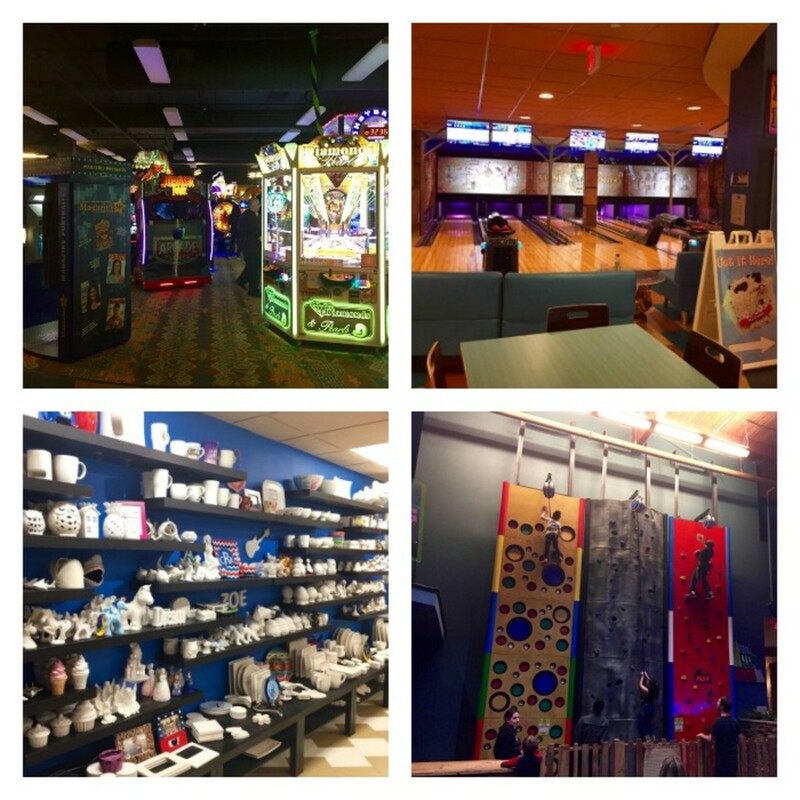 Be sure to set aside time to visit the Oasis Kids&apos; Spa, make some pottery at Polka Dot Pots, Lazer Tag, an arcade, mini golf and a climbing wall. At the main base there a bunch of casual options for your lunch break. Try the Trails End pub for slope side eating--we loved the Veggie burger and the meat-lovers Grass fed beef burger. Over at Aquatopia you can pick from kid-friendly options at Colonial Commons and for adults check out Flyboys.